I've got over 12,000 words written on the new wip. Yay! I'm in love. Really. The words are flowing like honey right now. I just hope we don't encounter a bee strike. Coincidentally, I just finished writing a guest blog piece on how falling in love is just like writing a novel. It's for the Loving the Reviews Challenge and I'll definitely be posting more information on that since there will also be lots of book giveaways. Remember, Mondays are not bad. Mondays are the beginning of the rest of your life. 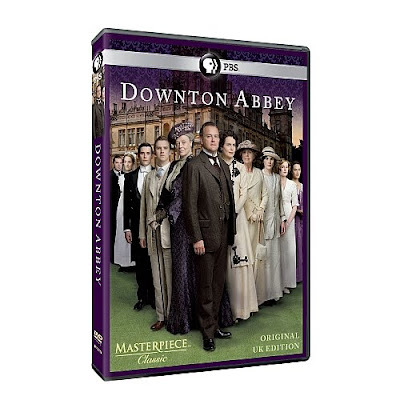 Oh, and can I just say that I LOVED all of Downton Abbey? Except... the ending. Grrr! I had no idea they would end it the way they did. Obviously, there is a Downton Abbey Part 2 in the works. Or at least there had better be! I just got another set of nice reviews for Boyfriend. yay! "Author Geraci knows how to bring the humor to all of her books her Bunco Babes books are rollicking good fun. The Boyfriend of the Month Club is fast, funny and fast-paced fun. The characters are quirky yet believable. Grace’s family is Cuban-Irish and her relationship with her father is touching. There are plenty of laughs, great characters, and romance. The Boyfriend of the Month Club is just plain great fun! Enjoy!" I also got 5 stars from Night Owl Reviews, making it a Reviewer Top Choice. yay! "This story is believable but even more important it’s entertaining. I absolutely loved it and hated to put it down." 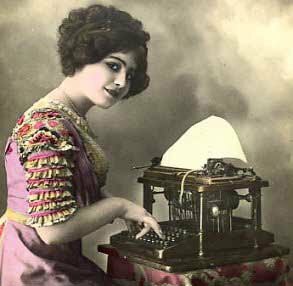 I'm just about at 5000 words on the new novel which, I know doesn't sound like much. But considering the fact that I wiped out everything I had this week and started over, I'm pretty happy. I had almost 4000 words written originally, but I was struggling and you shouldn't be struggling in the first chapter. Chapter 10, yes. But not chapter 1. This is where the words should flow like honey. So I started over but this time tried 1st person POV (past tense) and it seemed to work. I've tried 1st person before in an earlier novel (when I was first starting out) but got stuck on the story at about page 200 and abandoned it. So I got to the end of chapter one and while I liked this 1st person pov much better, there was still something not right. So I tried again. This time in 1st person present tense. And voila! I think I've got it! Two chapters and still going strong. We'll see. The thing is, I have to write this book for myself. With each novel, my voice gets stronger. Write for yourself. Write the sort of book YOU want to read. Make yourself happy. Because believe me, you won't make everyone happy. Check out this article: Whom do Authors Write For? I agree with Mr. Amis. ADD ON: Check out Marilyn Brant's great interview at Chick Lit Writers. Chick Lit lives on! 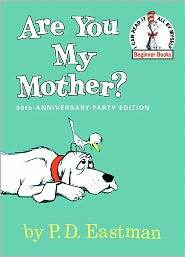 Do not laugh, but when I was in the 2nd grade I actually did a book report on "Are You my Mother?" I also did one on "Hop on Pop." I'm sure I still have it somewhere. It was basically the who, what, where and when style of report, but I used some of my favorite pictures from the book and jazzed it up with some crayon depictions of my own. I distinctly remember getting an A on this report. Good times. 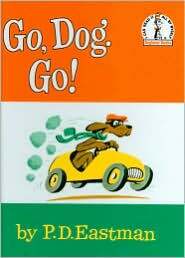 Now, I see that these fantastic children's picture books are being converted for ereaders. Don't get me wrong. I love my Kindle. I would love my Nook too if I had one. But we have to draw the line somewhere. 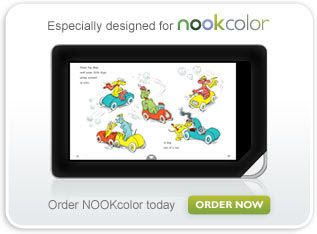 I'm sure the picture quality of the Kids Nook is fantastic. Almost as good as maybe seeing the pictures on a computer or a TV. But picture books were meant to be savored in print. Just like art is meant to viewed in person. I've seen countless pictures of the Mona Lisa in magazines and online, but I've never seen it with my own eyes the way it was meant to be seen. Hopefully one day I will have the pleasure of experiencing it. I'm all for electronic readers. But this is too much. Check out my new interview over at Chick Lit Plus. Fun Questions! I love doing all these things, but when your head is full of snot (sorry, I had to go there) it's no fun. We got back from Atlanta last night (Thank God Mike Geraci came because I cannot drive on ice!). Remember, I live in Florida and snow is like some strange aberration that paralyzes me. Atlanta hadn't seen snow in something like 15 years and the city was under siege. Schools were closed all week and reports down here (down here being Tallahassee) was that the city was in chaos. Coming in on the tail end of the chaos I can say that Atlanta was very much open, although we saw dozens and dozens of stranded cars on the highways and were told by natives that the past week has been horrendous. Schools and lots of businesses closed and everyone had major cases of hermititis (sick of being home all week) and were anxious to get going again. Megan (my youngest) went for her first college audition (BFA Musical Theatre and Acting) for Emerson College (in Boston, but doing regional auditions in Atlanta) and the whole thing went very smoothly. Having been a performer since the age of 7, she's such a pro! She won't know if she got accepted until late March and I'm keeping my fingers crossed for her. She's applied to 6 different schools and it's all such a crap shoot. Kind of like submitting your manuscript to a publisher. You can be good, but then everyone is good and you never know what they are looking for. Give Charlie (my 100 lb mutt a bath)- don't worry, Mike Geraci will be helping me with this one. Oh, and make Baked Potato soup. Yummy! It's no secret that if the temperatures dip below 40 degrees down here (and by down here I mean Florida) we start freakin' out. The blankets come out on the patios (to protect the plants) and everyone starts digging into their closets to try to find a pair of mittens (if you have any, that is). So when the temps start getting consistently in the 20s at night and in the 40s and 50s during the day it becomes a serious matter. Honestly. I don't even own a winter coat. The only coat I own I bought back when I lived in Huntsville, Alabama and that was 15 years ago, so yeah, it doesn't fit any more. And when our neighbor to the north (that would be Georgia's) governor declares the state in an emergency due to all the ice and snow they've been getting, things are serious. Especially since I was supposed to drive to Atlanta tonight to take my youngest to her first college audition. I have been told I'm crazy by more than enough people to make me believe it, so I'm making Mike Geraci drive us. No way am I driving on ice. Especially in Atlanta. Especially at night. Hotlanta is now Icelanta and I've been told it's not pretty. I cannot believe that 285 is still closed down, although that is what I'm hearing. Story to come on Monday. Okay, so yeah, I failed miserably in my word count for the week. But as you can see per the post below I spent most of it in a drug induced haze. The good part? I did add about 200 plus words to the manuscript and I figured out where the first chapter was going so all that's good. Now I just need to add some wordage. There's no way I can make up the missing 6000 words from last week but I'm still going to keep adding missing words to the totals every week so that I can try to keep up with the April 30 self-induced deadline. Another good part of the week? Downton Abbey did not disappoint. I've been waiting eagerly for this miniseries for a bit now and despite some of the bruhaha created by the press last week, the show was utterly awesome (is anyone else out there in love with Brendan Coyle's character?) Add this to a roaring fire and a slice of that awesome pound cake and I was in heaven last night. I know what I'm getting my mother for her birthday next month. Despite having taken the flu shot last October, I got the flu this week. But hopefully I'm on the mend. Monday night was truly awful. I thought I was going to die. Every muscle in my body felt like jelly and I was running a fever so I was alternately hot and cold. Went to bed around 9pm and slept till 10 Tuesday morning. Thank you, Nyquil! Tuesday night was a little bit better and then Wednesday afternoon I began running a fever again. I had to go to the pharmacy to pick up some prescriptions and you should have seen their faces when I handed over my credit card. No one wanted to touch it. Not kidding. I was hacking, my eyes were running and my hair was literally sticking out on end. I guess I don't blame them, but honestly? I needed my drugs, people! Plus that is what anti-bacterial soap is for. So back to my writing. All this means that I did little to no writing this week. Although I did think about my new novel a lot. And thinking inspires ideas and from that come more ideas. And all of that is good. I will tell you that I've struggled with the beginning of this story. And I think it's because I don't have a firm grasp on the main character. I know her name (it's Emma) but I can't picture her yet. When I came up with the idea for The Ugly Girlfriend I wrote up a synopsis to send to my agent. The original blurb went something like this: The Ugly Girlfriend is a romantic comedy about an ex-Homecoming queen who accidentally discovers she's now the "ugly friend" in her group of big city night clubbing girlfriends and decides to go back to her small hometown to reclaim her "mojo." I wrote up the synopsis. And let me just say that I really hate writing up a synopsis on a story that isn't written. But it's a necessity for some of us in the business. Your agent wants to know what the story is about. So does an editor. But the story isn't sold yet (and may never be on the proposal I wrote) so this gives me a lot of creative slack to basically do what I want. My agent liked the synopsis but I wanted some feedback from readers. So the next thing I did was show the synopsis to people I trust. Now... this is just what I like to do. It might not be what you like to do, but let me tell you why I think this is really important. The way people respond to an idea or to a storyline will give you an idea of how marketable that story is. You want people to be excited about your story. I got a lot of excitement with the title, but the synopsis fell a little flat with my beta readers. None of them liked the idea that my main character was an ex Homecoming Queen. "How can she be the ugly friend if she's "pretty?" I had to think long and hard about this one. My original idea was that my protagonist, Emma, was pretty, but that she'd let herself "go." Plus, pretty is extremely subjective. You can be "pretty" and still be the ugly friend. However, after some thought, I finally agreed with my beta readers. If I'm going to write a story about an ugly friend, then I have to go all the way. This will completely change a lot of the story outlined in the synopsis. But that's okay. I love starting a story not quite sure where it will take me. In my interview over at A Cozy Readers Corner, I was asked about my New Year's Resolutions (for simplicity's sake from now on this will be referred to as NYRs). First, let me say that I firmly believe in NYRs. I believe in goals. I believe that in order to succeed at anything you have to aim high. Really really high. And you have to work hard in order to make those goals a reality. My NYRs for 2011 were to lose weight and get more organized. I also said these were works in progress. I don't believe that I will ever be thin enough or organized enough to suit me, hence, these are life long goals that I will struggle with forever. Since writing that Q&A column, I have set another goal. And that's to finish a new book in 6 months. For those of you who write, you know how daunting it is to complete a novel. 6 months doesn't seem like nearly enough time. Yet in order to churn out a book a year, that's about the time frame you have to work with. So in order to make the goal seem less daunting, I've broken it down. First rough draft goal is April 30. Which means I need to write roughly 6000 words (or 24 pages) a week). I think this is pretty doable. The month of May is slotted for revisions. After which, I'll let some of my beta readers read the manuscript. These are the fabulous Guinea pigs who read my stuff and tell me what they think. Then, I'll take what they tell me (plus, I've been editing on my own during this time frame), put it all together and hopefully deliver a polished manuscript to my agent by July 1. In order to keep me honest, I'm going to chart my progress here on my Writing Romance in the Closet blog. Every Monday, I'll fess up as to how much I've written and how the novel is progressing. I'm also going to be blogging about it in between Mondays (as well as other things) so if you've ever wondered how a book gets written (at least how a book gets written my me) just tune in. So, first things first. I start with a title. Mel (my fabulous crit partner) thinks up the best titles. She never begins writing a novel without a title and I happen to agree with her. A title gets you in the right frame of mind for writing the book. Now... sometimes your title will get changed. The original title of Bunco Babes Tell All was The Church of Bunco. I loved that title. But the people at Berkley? Not so much. However, it doesn't matter that the title was changed because the fact of the matter is that the attitude of that book came from the original title. A title should be catchy and if possible, high concept. I thought up the title of my new novel after watching an episode of Real Housewives (can't remember which city!) which goes to show that you never know where you might get your inspiration. The title of my new novel is The Ugly Girlfriend. 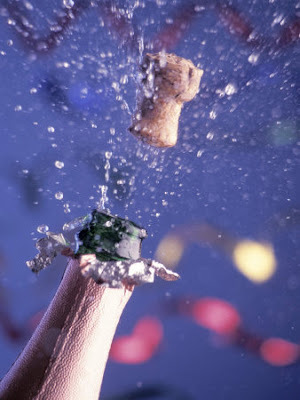 Happy New Year and a give away! 2011! So far, my New Year is starting out perfect. The Noles won their bowl game last night and I'm over at A Cozy Reader's Corner! Come on over and comment to win an autographed copy of The Boyfriend of the Month Club!